What if I told you that Watsonville could develop a brand new, 150 unit mixed income housing project with 20 percent affordable housing in place of an automobile junkyard that has been polluting the local waterway for 60 years? Now what if I said that project would have essentially zero impact on traffic in the area, and might even make it better by providing for an extended right hand turn lane on already crowded Main Street? Lastly, what if this project voluntarily cleaned up all of the junk yard pollution and then committed to rehabilitating the site to its natural form? That sounds like a slam dunk right? Well maybe… But as with all housing projects, nothing is ever a slam dunk. That’s why we need your help to get the word out about Sunshine Vista, which is exactly what it sounds like: a much-needed, extremely well designed, mixed income housing project that is going above and beyond their affordability and development requirements to create an ideal project in the area of our County that needs it the most. 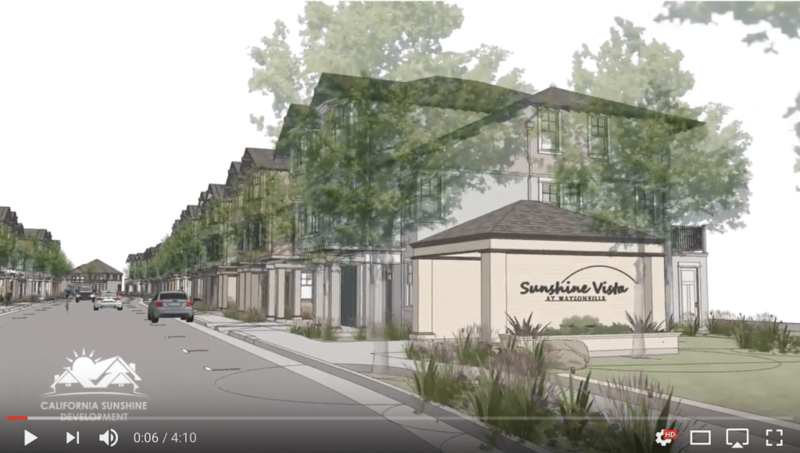 Located off Ohlone Parkway near similarly mixed income projects, on the bank of Elkhorn Slough, Sunshine Vista would provide for 150 units in the form of single family homes, duplexes, and row houses. It would also create publicly accessible open space, a nature walking trail, and would contribute toward building out the public right-of-way near the project. The problem is that the surrounding neighbors who live across the street, in a very similar mixed income development, have begun to petition against the project, despite having missed the Planning Commission meeting in which it was approved unanimously. They claim that the project would impede access to a lawn they have been using as public open space. However, the “lawn” in question is actually just part of the public right-of-way that the City has always been planning to use for a road, when a development was proposed. Still they insist that the project would cause irreparable harm to their quality of life, despite assurances from the developer that they would have access to a newly created open space about a 5 minute walk away. Put bluntly, this seems like one of the most archetypical cases of NIMBYism that we have seen in Santa Cruz County, in the face of what is an unprecedented need for housing. Given the context, and the Business Council’s focus on housing generally, we would like to encourage anyone who is willing to send in letters in support of the project, and attend the City Council meeting on August 28th.